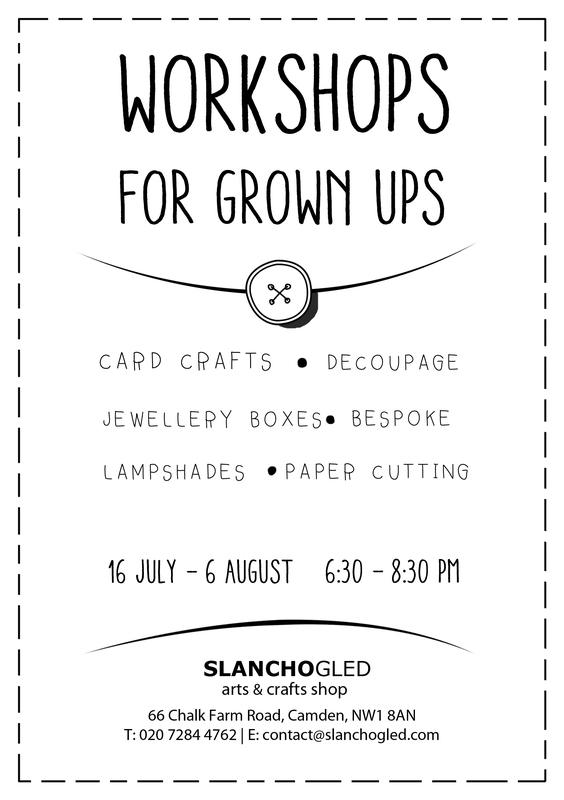 Summer is here and with the sunshine we bring you brand new adult workshops for the months of July and August. Try something new or advance your skills further in a variety of activities such as card cutting and decoupage, whilst getting familiar with a range of different materials. 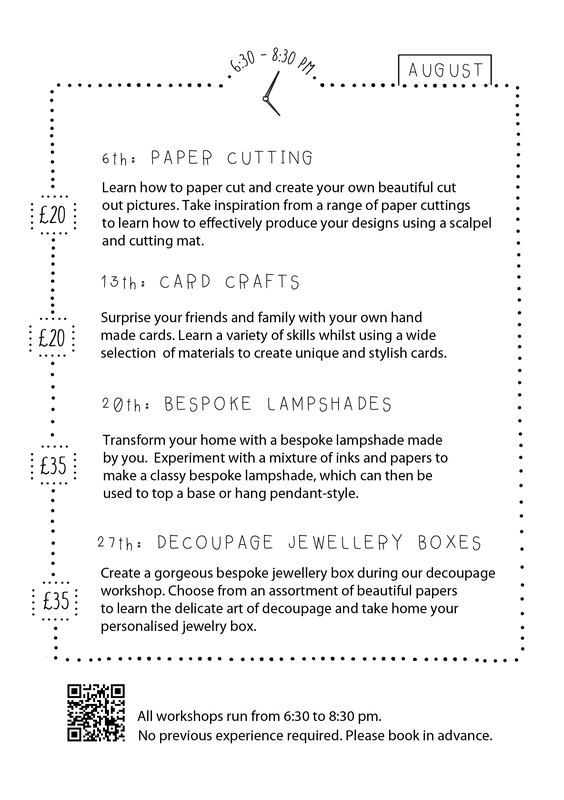 Workshops vary from creating cards and jewellery boxes to creating bespoke lampshades. All levels of ability are welcome, from beginners to the more advanced. If you’re interested in one day or multiple days then please give us a call or email to book.